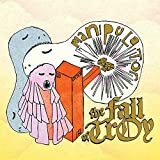 The Fall of Troy Albums, Songs, Lyrics And More at SongMeanings! The Fall of Troy is a three-piece Progressive rock band from Mukilteo, Washington. The band consists of Thomas Erak (lead vocals, guitar), Andrew Forsman (drums), and Frank Black (bass, backup vocals). ... The Fall of Troy is a three-piece Progressive rock band from Mukilteo, Washington. The band consists of Thomas Erak (lead vocals, guitar), Andrew Forsman (drums), and Frank Black (bass, backup vocals). 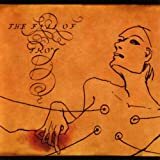 The Fall of Troy draws from the progressive roots of bands like Rush and King Crimson, while also combining it with the modern experimental sound influenced by bands like At the Drive-In and The Blood Brothers. The band is characterized on their albums by technical, polyrhythmical instrumentation, by the alternating vocals of Erak and former bassist Tim Ward, extended techniques, and Erak's vocal extremes (clean vocals to a harsh, shrill scream). All three founding members came from the band The 30 Years War, which they were in when they were all about 17 years old.